I'm very excited to announce the re-release of my sold out book Belle du Jour! It's being published in France in May 2009 by Fluide Glamour (a division of Fluide Glacial). 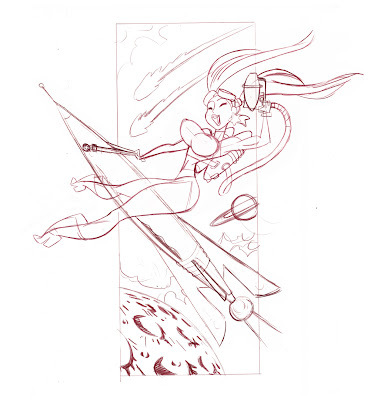 It will be part of their art book series, a follow up to the Arthur De Pins art book. 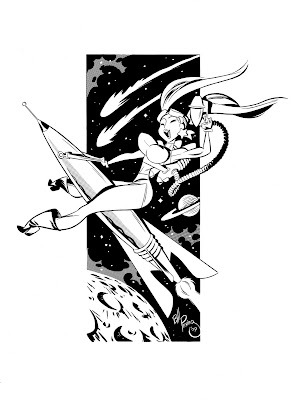 Which is quite an honor, Arthur is one of my favorite artists. 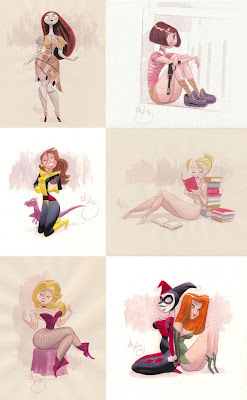 The book will contain all of the same art but with a different format, presentation and layout. 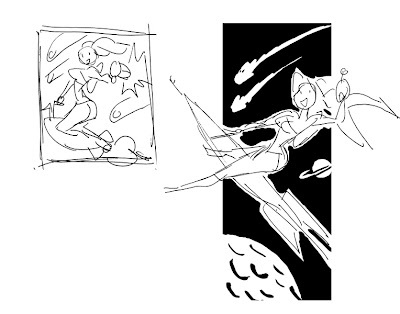 It's going to look really spiffy, I can't wait for everyone to see it. 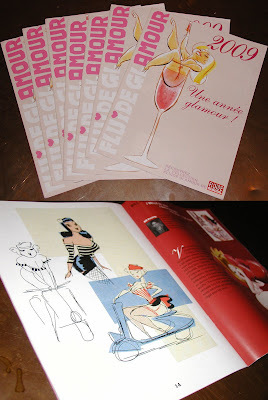 This is Fluide Glamour's 2009 catalog used for the recent BD festival at Angoulême to promote the book. It was an exciting surprise to see my drawing on the cover. Wondercon was fun as always. Business was a bit slow overall though. Which wasn't so bad since it gave me some more time to spend on commissions.